I have always loved Chanel, and jackets specifically from the fashion house. I have been lucky to have a collection of jackets I raid shamelessly from my mother. 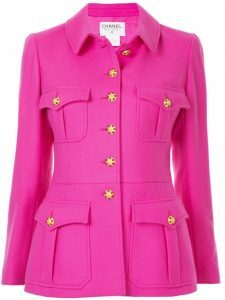 I have a love for Chanel’s archival pieces and this hot-pink vintage Chanel just screams “fun”!